Study Of Corn Sweetener In Soda Stirs Up Controversy : Shots - Health News The corn syrup industry argues that high fructose corn syrup is the same as table sugar. If a new study on sweetened sodas can be replicated, the industry may have to rethink that mantra. The makers of high fructose corn syrup have found themselves on the defensive -- again. Researchers at the University of Southern California have documented that samples of Pepsi and Coca-Cola sweetened with the stuff are delivering what they describe as "megadoses" of fructose. Their analysis shows the products contain about 20 percent more fructose than consumers have been led to believe. And why is this a problem? If this study can be replicated, the industry may need to re-think its "corn-syrup-is-the-same-as-table-sugar" talking point. You see, the corn syrup makers have always argued that their product is just like table sugar-- a combination of fructose and glucose. That's why they recently asked FDA if they could change their name to corn sugar. But fructose is the sweeter of the two sugars -- and may be more conducive to weight gain, some studies show. So more fructose in these tested products might indicate differences. Fair to say the study, published appropriately in the journal Obesity, is prompting a lot of discussion. But so far, experts are skeptical. "The methodology is problematic," Elizabeth Parks of UT Southwestern told Shots in an email. She says it's not just this study--but the struggle for all researchers is that it's difficult to get exact measurements of sugars. Parks notes that HFCS comes in many varieties with different proportions of glucose and fructose. We also put the question of how significant the study is to Barry Popkin at the University of North Carolina. "We have no real indication that the science of just a small amount [of] more fructose matters," Popkin says. A group that's often quick to blow the whistle when it sees food industry high jinks --The Center for Science in the Public Interest -- also issued a press release urging caution. "Because the new analysis seems so improbable, confirmatory studies using the best analytical method need to be done before the alarm bells ring too loudly," says CSPI President Michael Jacobson. Naturally, the industry jumped to its own defense and says the study is flawed. 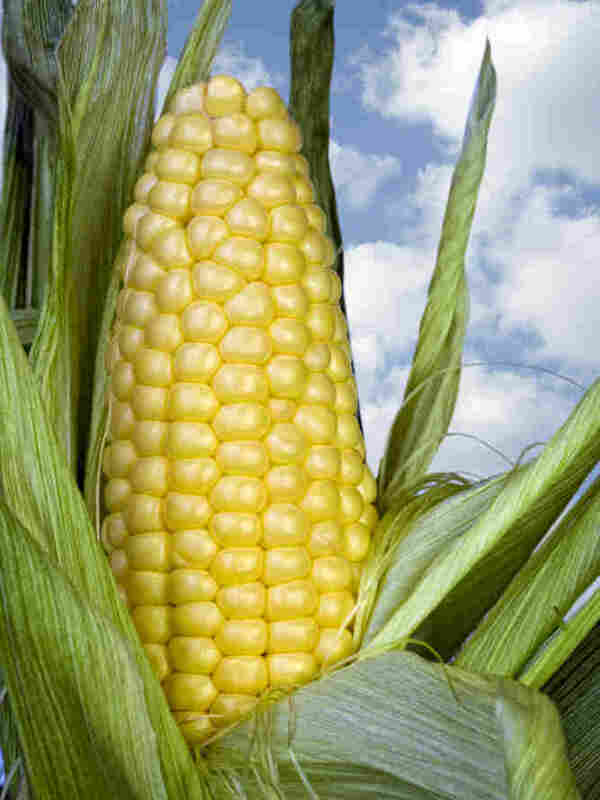 "Fructose is commonly found in many fruits and vegetables," says Audrae Erickson, president of the Corn Refiners Association. "And consumers should know that fructose is safe." Controversy aside, the important message here is that our love affair with ALL kinds of sugar is problematic. The more empty calories we consume, the more our collective waistlines expand. So next time you go to grab a Starbucks muffin that boasts it's made without HFCS, remember the real boogeyman here is likely the calories -- not the percentage of fructose inside.